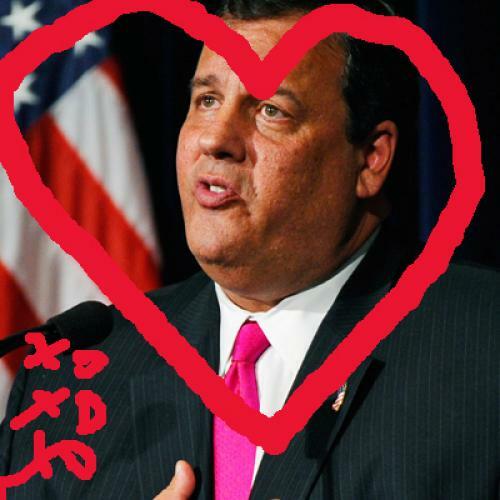 The longing for a Chris Christie presidential run is baffling for many reasons. Among them is the fact that, ideologically, he actually isn't that conservative. As old friend Jonathan Chait writes today at his blog -- which, by now, you should have bookmarked -- Christie on Tuesday endorsed the Bowles-Simpson fiscal plan. As you may recall, Bowles-Simpson calls for reducing the deficit with a mix of spending cuts and, yes, tax increases. The ratio is roughly three-to-one, which makes it pretty conservative by my standards. But it's still too liberal for the Republican congressional leadership, which rejected similar deals when President Obama offered it, as well as the current field of Republican presidential candidates, all of whom indicated a package with an even more conservative ten-to-one ratio remained unacceptably liberal. 1. During the 2009 campaign for governor, Christie endorsed New Jersey's relatively strict gun control laws. He also won the endorsement of the New Jersey Environmental Foundation, becoming the first statewide Republican to do so in 30 years. 2. Just a few months ago, he stated in a speech that global warming was "real" and "manmade," adding that "when you have over 90 percent of the world’s scientists who have studied this stating that climate change is occurring and that humans play a contributing role, it’s time to defer to the experts." 3. Christie has accused conservatives in his state of demagoguery on immigration. And in 2008, while he was still a U.S. Attorney, he told a New Jersey Latino organization that "Being in this country without proper documentation is not a crime. The whole phrase of 'illegal immigrant' connotes that the person, by just being here, is committing a crime." The comment prompted Lou Dobbs to call for Christie's resignation. Christie's staff later explained he was merely making a technical point about the law. Here at TNR, Tim Noah has been thinking along the same lines: Christie just isn't that conservative, which is what you'd expect for a Republican who won election in the relatively liberal state of New Jersey. In modern politics, "savior" candidates are never again as popular as they are the day before they announce. To start down the list of reasons: Neither opposing candidates nor the press can unleash all-out hostile-investigative scrutiny on a mere "potential" candidate. But the instant the candidate declares, anything goes. A teasing, courted candidate in "will he or won't he?" mode -- Chris Christie, as of this moment -- spends all day every day being told how great he is. A real candidate spends all day begging for money; facing the risk of errors; and knowing the certainty of making enemies and giving offense. The errors come from debates, press ops, responses to criticism. The offense comes from having to choose sides on policy issues that a non-candidate can ignore or finesse. The corollary to this, which I raised over the summer while debating Jon over Romney's chances, is that even political elites seem to underestimate the value of having run in a presidential campaign before. Romney is the only leading Republican contender to have done so. And it shows. He's far more polished in the debates. He's assembled a team of seasoned operatives with an instinctive feel for the news cycle. Most of all, he is a known quantity. To borrow a phrase I used earlier, Romney's flaws are already priced into his political stock. He supported universal health care in Massachusetts? Well, sure. But that's old news. Romney isn't a lock for the nomination. Far from it. But even if Christie does get in the race, don't be surprised if we're having this very same conversation, about another would-be savior, within very short order.